We value your business and respect the privacy of your information, which is why, as a precautionary measure, we are writing to let you know about a data security incident that may involve your information. On January 8, 2019 our systems were infected with ransomware called “Emotet”. The data accessed may have included information such as customer names, mailing addresses and emails. To our knowledge, the data accessed did not include any banking information, accounts, credit cards, security codes or passwords. The Ann Arbor/Ypsilanti Regional Chamber values your privacy and deeply regrets that this incident occurred. We have brought in long time Chamber member and our new IT services provider UTEC to resolve the issue. They have also conducted a thorough review of all devices that are a part of our network and services. Additional security measures have been implemented to prevent a recurrence of such an attack, and to protect the privacy of our valued members. 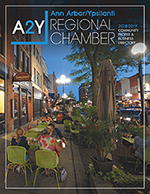 For further information and assistance, please contact the Chamber by email atDiane@a2ychamber.org or by phone at 734.214.0102.